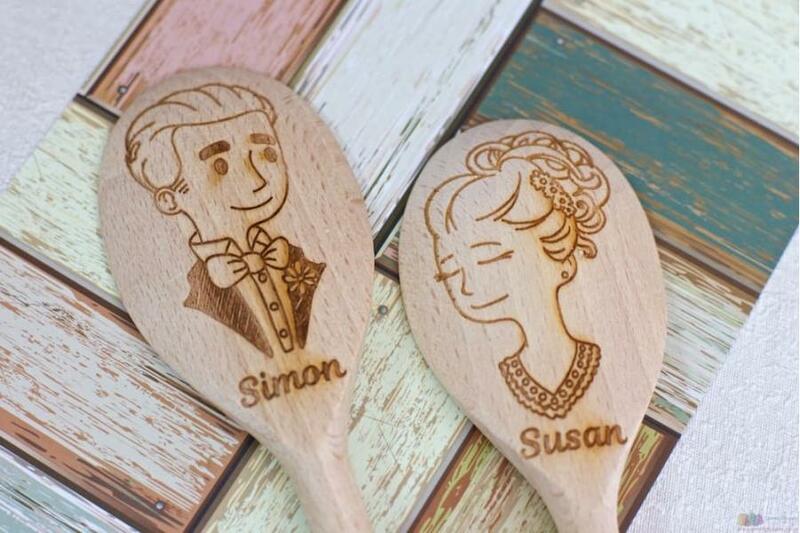 One beautiful, blushing bride and her new husband – celebrate those first steps as man and wife by giving her a gift that has been given to millions before her – a personalised wooden spoon. 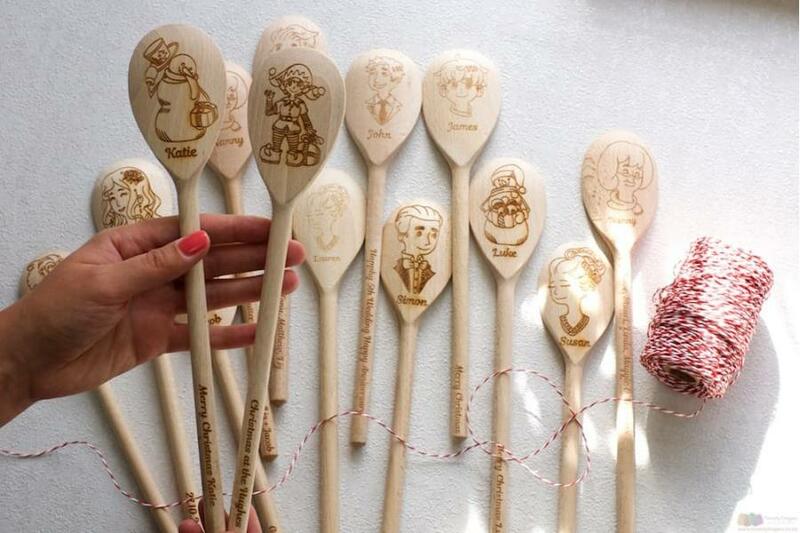 Who knew that customised spoons could be so beautiful? 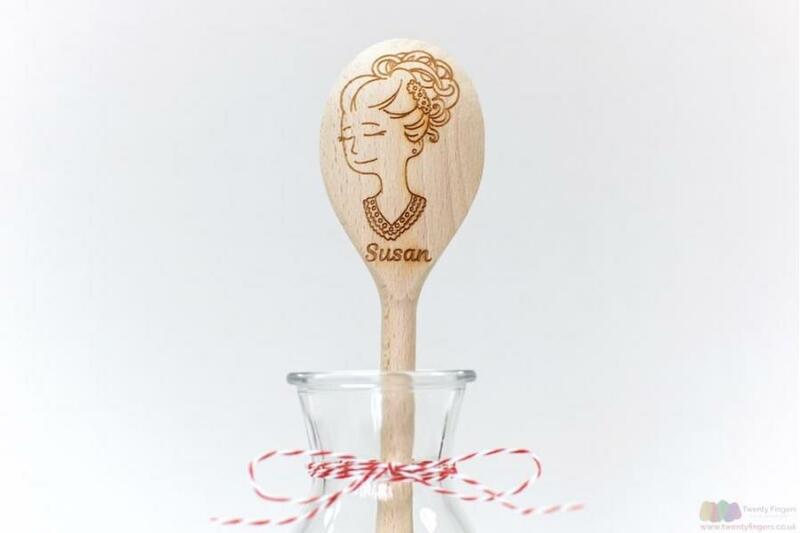 This traditional token of a newly formed marriage was given to represent all of the meals that she would prepare for her new hubby and, eventually, her growing family. 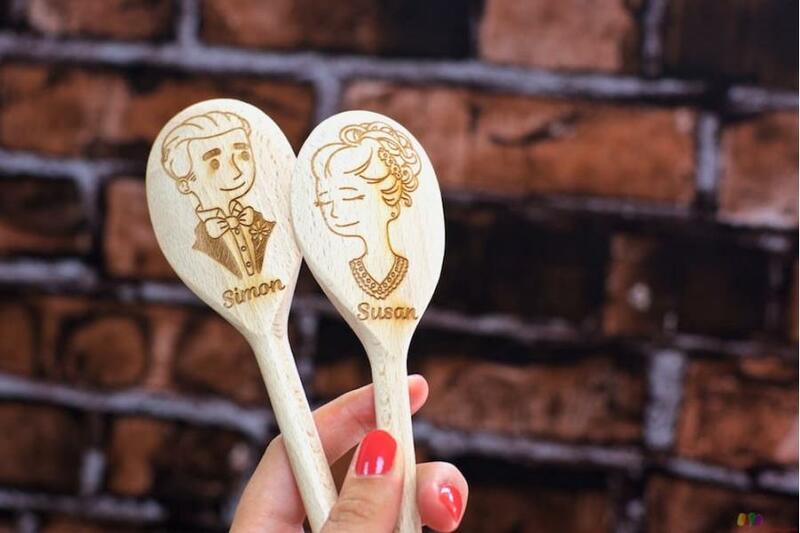 We know that today things have changed (which is why, right here alongside our beautiful bride is a groom spoon). choose your special lady from a choice of two (one with her hair pinned back and another with cascading curls). tap in her name (up to thirteen letters can be entered). 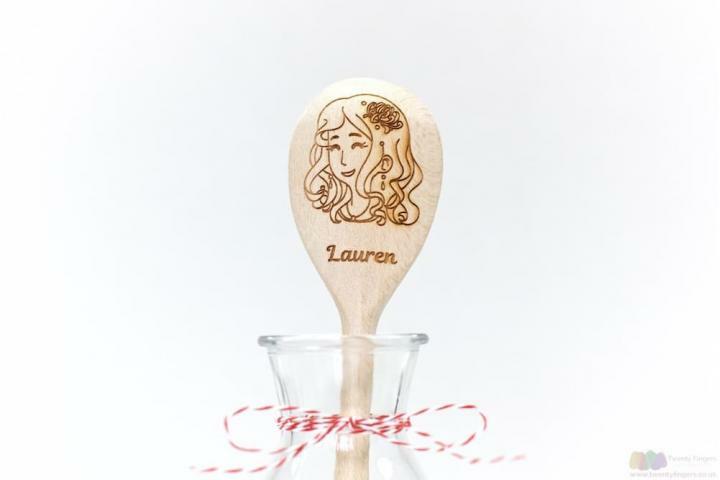 enter a message of good wishes for the future that she’s yet to share with her new man.